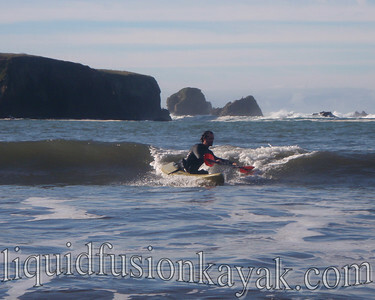 A couple of warm, sunny January days had us donning our wetsuits and surfing a variety of our sit on top surf kayaks. 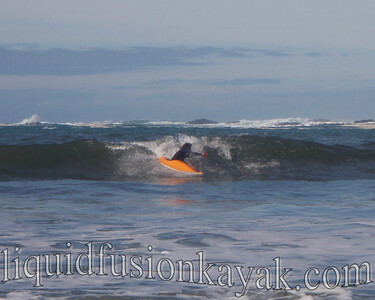 We enjoyed the simplicity of wearing only wetsuits and booties. 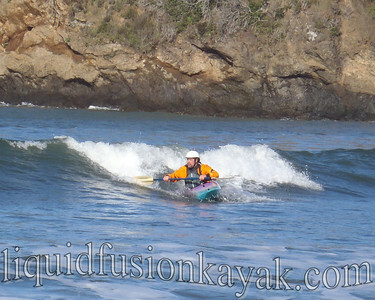 However by day, 3 we were pining for our high performance surf craft. 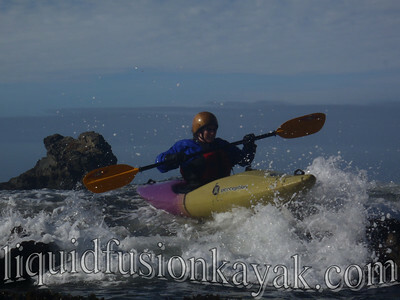 A sea kayak surf session was fun. We used the session to practice our combat rolls and to mess about with back surfing (urrrgh . . . still learning our new camera so not the best video clip). 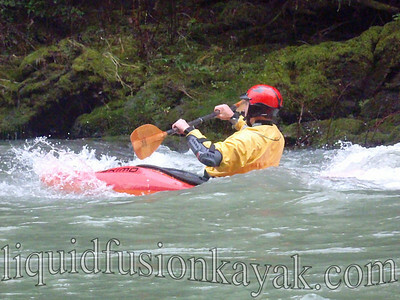 This week, we were back at it in our whitewater kayaks. 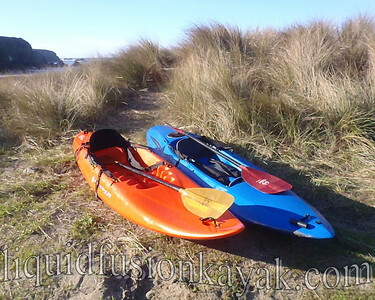 The whitewater kayaks are super fun to play around in, simple to throw in the back of the truck, and versatile when good rock gardening opportunities occur. 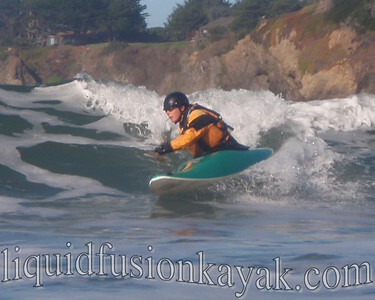 But again, we found ourselves missing the fast planing hulls and crisp edges of our surf kayaks. Guess we are a bit spoiled. 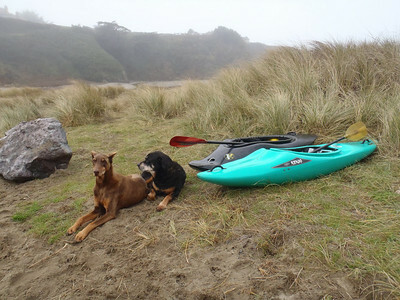 Speaking of spoiled - Bear and Aften are enjoying our trips to the beach. 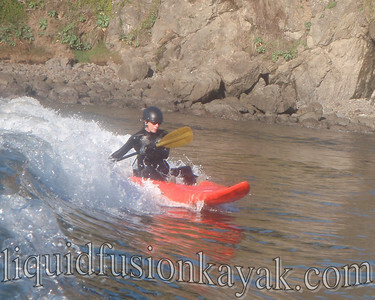 Surfing standing waves in our whitewater kayaks on the river is on this weekend's plan.